B-12 Plus (Natural Berry Flavor) 1000 mcg by Anabolic Laboratories has definitely helped my health. It also tastes very pleasant. 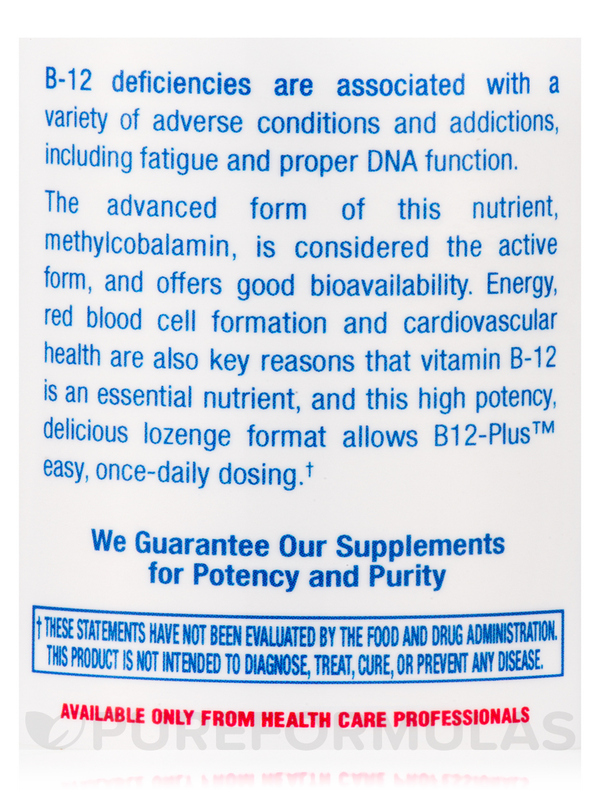 B-12 Plus (Natural Berry Flavor) 1000 mcg by Anabolic Laboratories provides vitamin B12‚ which is a B-complex vitamin that may work to promote general health in several ways. First‚ vitamin B12 could potentially aid in the production of red blood cells; this is important because red blood cells are responsible for carrying oxygen from your lungs to other cells that need it. 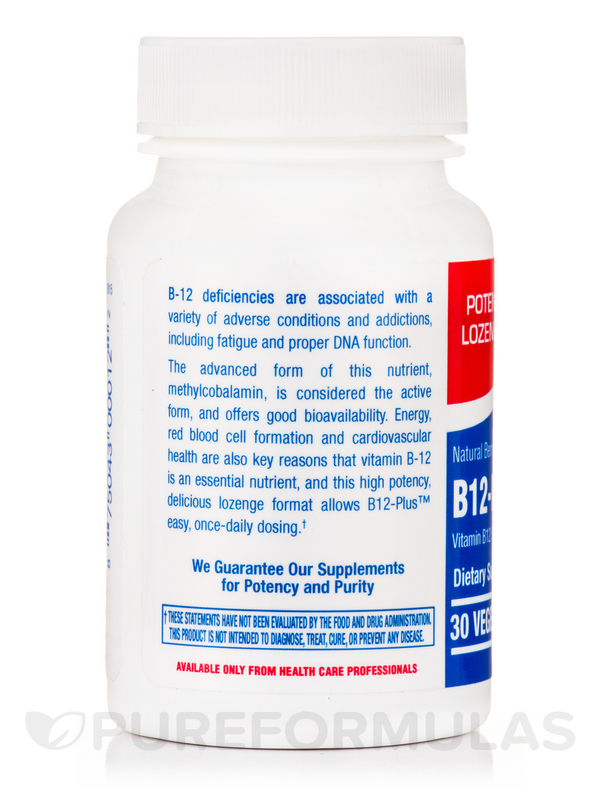 Moreover‚ B-12 Plus (Natural Berry Flavor) 1000 mcg might work to maintain healthy nervous system function. For these reasons‚ this Anabolic Laboratories supplement provides 1‚000 micrograms of methylcobalamin per serving. 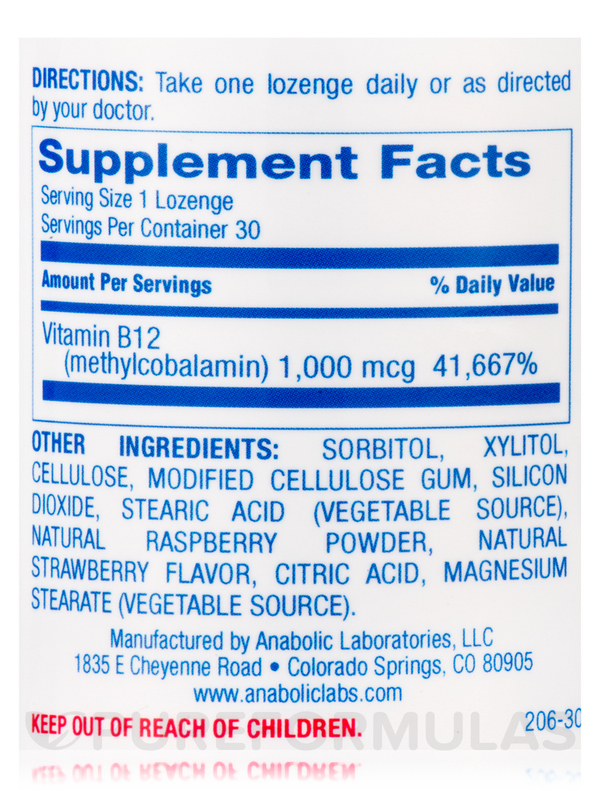 Since methylcobalamin is the active form of vitamin B12‚ B-12 Plus (Natural Berry Flavor) 1000 mcg may be easier to absorb than other B12 supplements. 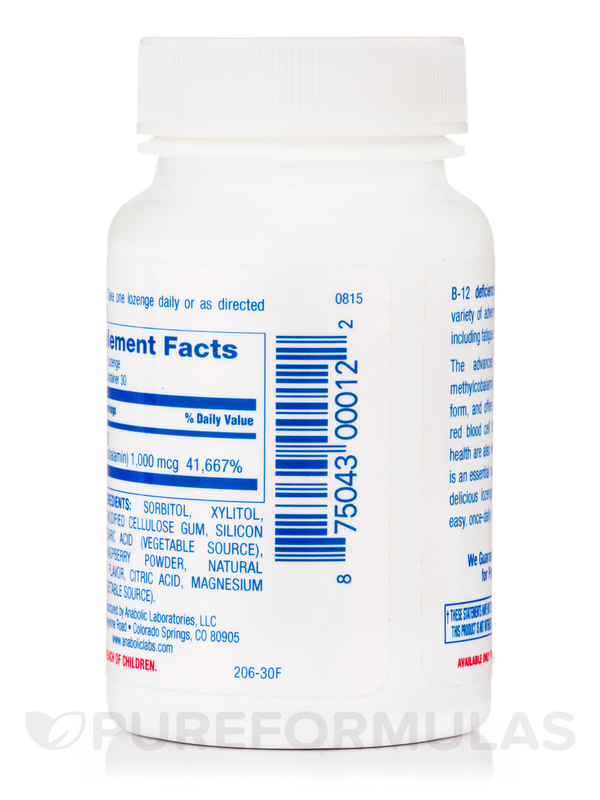 Since this supplement comes in lozenge form‚ it’s suitable for anybody who has trouble swallowing capsules or tablets. In addition‚ these lozenges contains natural strawberry and raspberry flavorings. 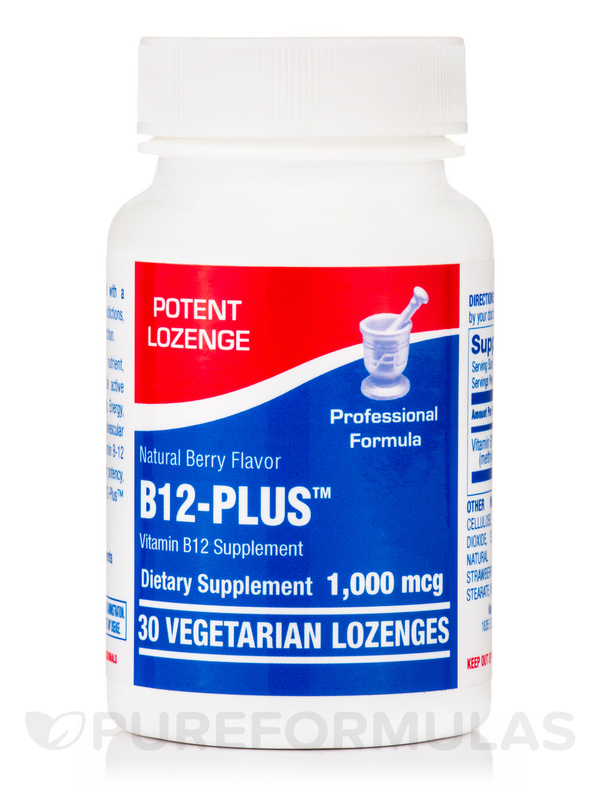 Finally‚ B-12 Plus (Natural Berry Flavor) 1000 mcg is convenient because you only have to take one lozenge daily! 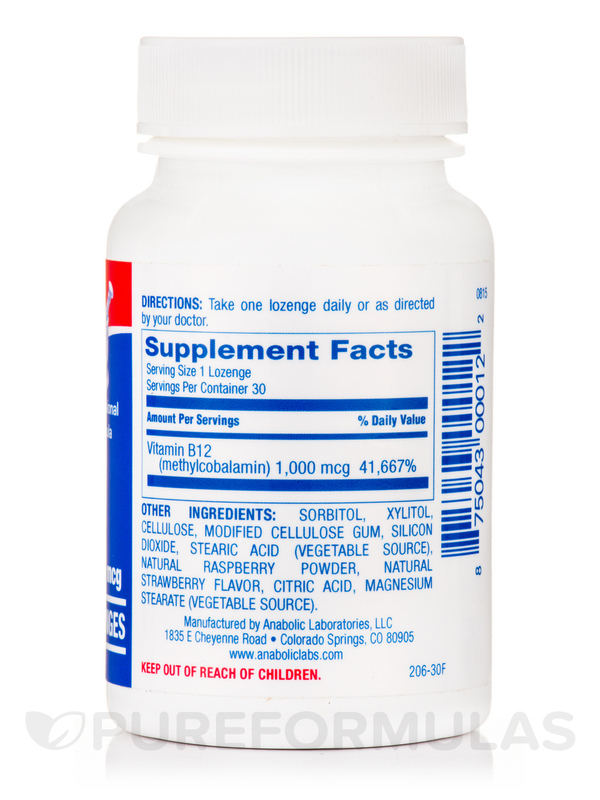 Each bottle of Anabolic Laboratories’ B-12 Plus (Natural Berry Flavor) 1000 mcg contains 30 vegetarian lozenges‚ which should last for about one month at the recommended serving size. Other Ingredients: Sorbitol‚ xylitol‚ cellulose‚ modified cellulose gum‚ silicon dioxide‚ stearic acid (vegetable source)‚ natural raspberry powder‚ natural strawberry flavor‚ citric acid‚ magnesium stearate (vegetable source). Take one lozenge daily or as directed by your doctor. I like the ease of taking it.